The lead up to Christmas Day is looming. The preparing, the festive food, the gift giving and of course, the Christmas Markets – whether your sipping the mulled wine or visiting the Bavarian Bars, shopping for that special Christmas gift or just enjoying a crisp winter evening. We hope that you and your family, friends and loved one’s were able to enjoy some of the South West’s Christmas Markets. If you’re driving past, visiting or live in Wiltshire, don’t worry the Salisbury Christmas Market is open until Friday 22nd December 2017. With over 100 exhibitors combining British-made products from handmade award-winning cheeses to new forests chocolates, you’ll be sure to find that last minute treat. While in South Devon, the fairy lights of the log cabins in Plymouth’s Christmas Market are open until Thursday 21st December. So, there is still time to enjoy a Bavarian beer and sausage on heated seats or find that last minute gift. If you are struggling for a gift, with Christmas only a week away, don’t worry our Champagne Hot Air Balloon vouchers are still available in time for Christmas Eve or to put under the tree on Christmas morning. Our sales team is on hand until the 22nd December to take your orders. 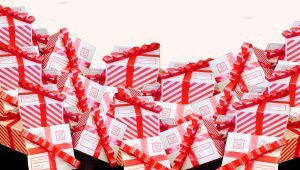 Our postal deadline is 20th December for vouchers to arrive in time for Christmas (Royal Mail First Class) and 3pm on the 21st December for our Balloon in a Box Gift Packs. And for the last-minute shoppers, our hot air balloon vouchers are e-mailed out automatically so can be ordered 24 hours even on Christmas day! Don’t worry about picking a flight date! There is no need to worry about selecting a flight date for the vouchers, as our 2018 main flying season commences on the 16th March till the 31st October 2018. 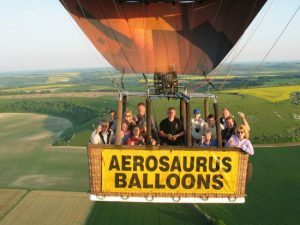 All our vouchers are valid for 12 months, giving you a full flying season to fly with us, so you have time to select a date from one our launch sites in the South West from Wiltshire, Dorset, Somerset, Devon & Cornwall or you can fly from Bristol, Bath & South Wales with our sister company Bailey Balloons. Remember that the festive season is a special time to celebrate with your loved ones, our balloon flights give you that opportunity to continue celebrating over the beautiful sights of the South West.